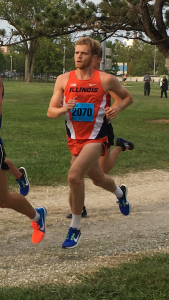 W & T Law Clerk Completes U of I Track and Cross Country Career | Webber & Thies, P.C. 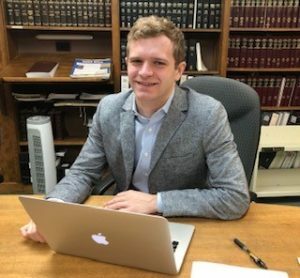 When W & T law clerk, Luke Brahm entered the University of Illinois College of Law in the fall of 2016, he still had several seasons of eligibility left following his undergraduate running career at Princeton University (where he was a multiple all-Ivy league selection). 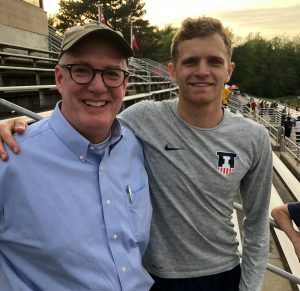 There are very few law students who would simultaneously undertake the rigors of law school and Division One athletic competition, but Luke managed to do this earning four U of I Varsity letters in the process. Starting in the summer of 2017, Luke added W & T law clerk duties as well. Luke is set to graduate from the College of Law in May 2019, and he’s been a great addition to our firm. In the picture below, W & T shareholder John Thies congratulates Luke following his last race at the 2018 Big Ten Championships at Indiana University. W & T has had a strong law clerk program since the mid-1950s. Our clerks have gone on to illustrious careers as practicing lawyers, corporate counsel and judges throughout the country. We are proud of the role the firm has played in their legal education!